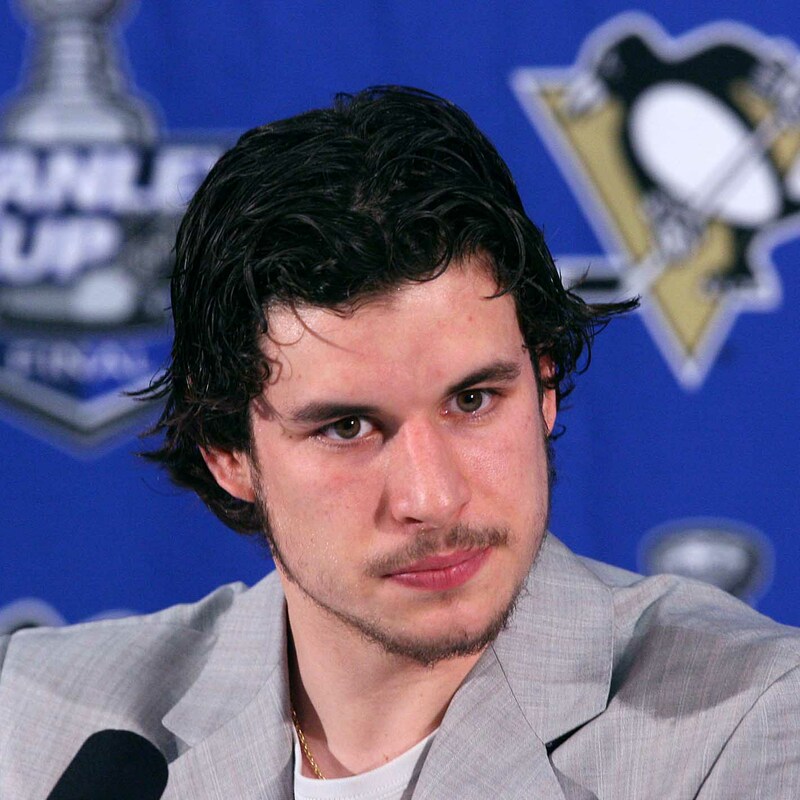 Pittsburgh Penguins' captain Sidney Crosby, channeling his inner "Painfully Awkward Rob Lowe." **Pens Initiative UPDATE** After this article was posted earlier this morning, Sidney Crosby missed practice for the Penguins. Stop me if you've heard this one before: "Sidney Crosby skates out onto the ice, and fails to score a goal for the seventh game in a row." You probably have heard something similar about Crosby during last year's aborted Stanley Cup playoff run, and the variables Crosby faced then mirror those that Crosby faces now. The little depth that Pittsburgh had at forward has all but evaporated, with Chris Kunitz, Pascal Dupuis, Patric Hornqvist, and Beau Bennett all missing time due to injuries, effectively forcing Pittsburgh to skate out a roster largely devoid of talent up and down the lines. Ordinarily, citing poor linemates would seemingly justify #87's ho-hum 35 point total (second in the NHL to Dallas's Tyler Seguin), but Crosby posted 120 points in 2006 while playing Mike Therrien's defensive shell brand of hockey, and Crosby registered those points skating between 700-year old Mark Recchi and Colby "Out of the NHL" Armstrong. Current head coach Mike Johnston's transition system is predicated on the Penguins attacking in swarms, and such an offensive emphasis was supposed to enhance Crosby's scoring efficiency, leading to more goals for Pittsburgh and more Art Ross Trophies for the Penguins' captain. Instead, Crosby has seen his goal scoring prowess drop (he once tied for the league lead with Steven Stamkos with 51 goals in 2009-10), and he is shooting at an 11% clip, his lowest since the injury plagued 2011-2012 season. The 800 pound gorilla in the room begs the question: are Crosby's scoring woes tied back to last year's wrist injury? Crosby's scoring touch evaporated during the Sochi Olympics, and given Crosby's network visibility and the season-ending injury suffered by Jonathan Tavares during the same tournament, Sid would have felt compelled to play down the severity of any ailment so as to keep the NHL players involved in the Olympics. Crosby then struggled through the 2013-2014 post-season, netting only 1 goal in thirteen games and setting the bar for this season's goal scoring struggles. Ostensibly, Crosby is playing the same game he always has, and continues to go to the hard areas of the ice (in front of the opposing team's net) to scrounge for garbage goals. He is finding open space and generating his own shooting opportunities, but the off-stride wrister that caught so many goalies unaware seems to have diminished as Sid's weapon of choice. Most troubling, Crosby has missed multiple wide open nets (both in front of the net and during empty net situations), and even his passing seems to be a bit off by his own standard. Obviously, a wrist injury would explain everything listed above (different shot-type selection, loss of accuracy in both shooting and passing), but as of yet, Crosby has not cited any such injury as an excuse or explanation for what has become increasingly more apparent. Any changes to the Penguins' offensive tactics on Friday could speak volumes as to the type of game that Crosby feels he needs to play in order to excel, and could also provide insight into what is ailing Pittsburgh's star center.